A force from the Otherside threatens to break through to our world and destroy the balance between Light and Darkness. Unless, of course, the Keepers Claire and Diana - two sisters who are able to reweave the possibilities of time and space - can prevent a permanent rift between worlds...at the local shopping mall. 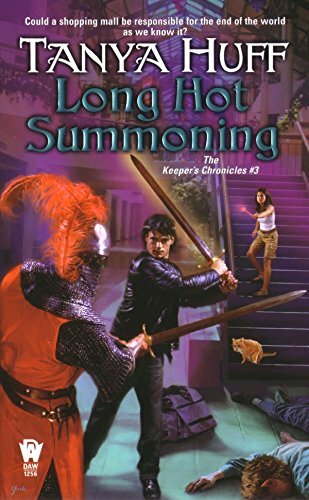 The last book of 3 in the Keepers series, this was another fun, fast read. Just as strange and humourous as the others. Caboodle seems to have stolen these (ahem) last time she was down, so I'm assuming they're on her To Be Read shelf now.